Retail AR App can increase your customer reach ability. -> They can Superimpose your products in Real-time and experience them while sitting remotely. -> Augmented Reality is a New Age Innovation, that enhances customer experience by superimposing meaningful digital information to the real world. What we offer in this Hourlie? -> Commitment to Deliver the world class AR App for your Business within 5 working days. -> To build an AR App that would help deliver a WOW experience to end customers. How it will help you to grow your Business? 1. We just need to discuss the AR App Idea and then we can get it started! 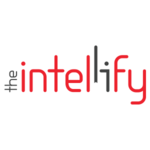 The Intellify is a Top Rated Augmented Reality Development Agency, which also offers Virtual Reality and Web Development Services to a diversified clientele of Individuals, Startups,...Read moreThe Intellify is a Top Rated Augmented Reality Development Agency, which also offers Virtual Reality and Web Development Services to a diversified clientele of Individuals, Startups, and Enterprises and thrives to build top-notch Digital Products. With 5 years of experience count and determined to move strong-headed to serve Agencies the most challenging and required Digital Developments with all the skill sets resources on board. If you are looking for highly efficient, responsive and qualified developers for your business requirements with a long-term commitment, and to take care of all your wants from scratch to deployment, Intellify welcomes you.